Today we will discuss in detail the causes of low milk supply and how we can resolve it adopting holistic measures. Low milk supply is a common issue bothering a majority of the new mothers. If you too struggle with the problem, don’t fret. You are not alone in this. Most of the new mothers have to deal with the problem of low breast milk supply. This often causes them to start taking supplements to increase the milk production. Although it may seem as an easy way to address the problem, it is not one. It is very vital that you know the root of the problem and the real reason for the low milk production. Only then you can solve the problem for a long term and not just superficially by taking supplements. A low milk supply can be attributed to a number of causes. Some of these are the common ones which most mothers have to deal with, while others are issues due to specific reasons related to the individual. The common issues are the ones mainly concerned with breast feeding management and can be solved by employing the right methods and practices. However, if you feel that you are doing it all right, you may have a medical condition which is resulting in low milk supply in which case its important you contact a medical professional. Here we have enlisted the main causes of low milk supply as well as the solutions to those problems. Our body has a very simple mechanism for milk production. When milk is removed from the breasts, a signal is sent to the body to produce more milk. Thus, more the milk removed, more is the milk produced; less the milk removed, less is the milk produced. These are some of the common mistakes that you are probably making, due to which is you are facing the problem of low milk production. Fixing the time limit for nursing the baby as well as feeding in regular intervals may not be the right thing to do. The time for which a baby needs to be nursed varies from baby to baby. Also, different babies develop different feeding schedules, depending on the milk storing capacity of the mother. Ideally, a new-born should be nursed 10-12 times a day. Initially, it can be a little difficult to interpret the signs to know when the baby is hungry. So, it would be wise to feed the baby whenever in doubt. Breastfeeding is an overwhelming experience for sure and sometimes you might want some time off the baby. It is natural to do that, but it can affect your milk supply. If you skip feeding, signals will be sent to your body to produce lesser milk and it will result in low milk supply. If this is done regularly, it can reduce your milk supply significantly over time. You may be worried that your baby is not receiving the required nutrition from your milk and so you start giving supplements to the baby. Well, this can result in problems in your own milk supply. Now that the baby will be satisfied with the supplements, your breasts will receive less stimulation to produce milk. This will lower the milk supply. If you know that you are doing it all right and it’s none of the above mentioned reasons which are causing low milk supply, you might want to consider taking a look at these medical conditions which can lower the milk production. There is a link between the level of insulin and production of breast milk. It has been found that mothers who have low levels of insulin have low milk production. The condition can become worse for those who are pre-diabetic or have undiagnosed diabetes. Due to undiagnosed diabetes, the mother is not taking the required insulin from outside. Thus, due to imbalance in the level of insulin, the milk production can be reduced. Some women may not have enough glandular tissue to breastfeed the baby. Hence, they have a low milk supply. Usually the reason for this condition is genetic. Any kind of breast surgery like breast reduction/ augmentation or any other type of surgery can lower the milk supply. The main factor in determining the effect of the surgery on the milk production is the condition of the nerves and ducts. Methods like recanalization and reinnervation can help in regenerating them. It cannot be stressed more as to how important it is to have experienced people around you who can help you with your condition. You should not hesitate to seek help from the specialists who have an experience working with mothers having a similar condition. It is important that you are aware of the possible problems that you already have which can affect your milk production. If there are any such issues, you should work on them with the help of your doctor beforehand. If you know what the risk factors are, you can take steps to prevent any problem that might arise out of it. A few common reasons could be PCOS or low insulin. The more milk is extracted from the body, the more the body produces. So, to increase the milk supply, you should extract or pump more milk so that the production increases. 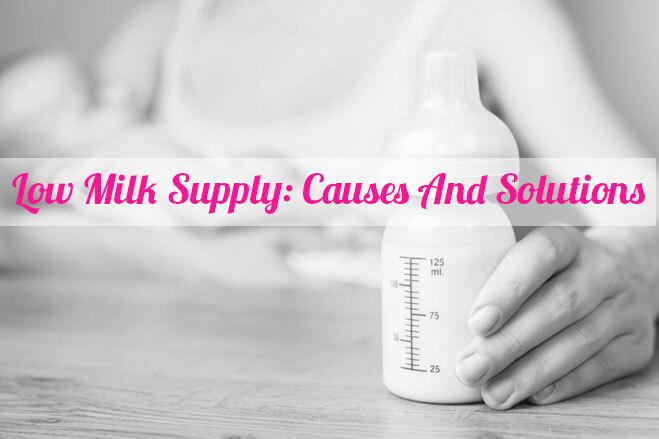 There are certain medications available to boost milk supply. Here is a list of some of supplements which may answer you question how to increase milk supply? You should talk to your physician to know about the ones available in your country and that suit your condition. If you face any problem such as plugged ducts or latch problems, you should find a way to fix it right away. Ignoring it will only make it worse and interfere with your milk supply. Talk to your physician about your issues and address them as soon as possible. Find causes of Low Milk Supply and how to treat it. Low milk supply is a common issue bothering a majority of the new mothers. If you too struggle with the problem, don’t fret.